Silk Dupion is also ideal for embroidery, patchwork, quilting, mounting lace, etc. This fabric can be used for pillows, duvets, draperies, curtains, etc. It is available in 44" and 54" width. ( PRICE ON REQUEST ). Look is beautiful. Ideal for Making ladies dress. Specially for bottom.Fabric material is Cotton Silk mixed. Our exclusive range of Plain Organza Silk Fabrics is high in quality and texture. 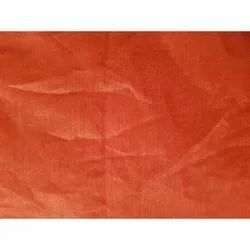 Available in different color, our plain organza fabric is exported worldwide. Highly durable in nature these plain organza fabric are appreciated by our clients and can be availed at industry leading prices. Width : 44" or 54"
Poly chanderi is available in variety of colours as well as in off white. The weight of fabric is approx 60 g/mtr in 44 " width. We are engaged in offering our customers with Dupion Silk Plane Fabric that is available in various patterns, lengths and thicknesses. 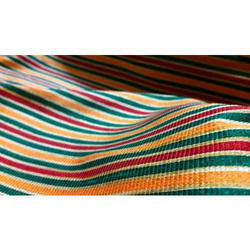 These fabrics are mainly used for making jackets, suits, wedding gowns and other garments. In addition to this, we check all the fabrics on various parameters to ensure flawlessness. Banarasi chanderi fabric with zarin weaving design. 60 GSM Mercerised Silk based 44". In 12 Color Chart.